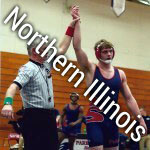 Michael Aldrich - NIU - Purler Wrestling Inc.
MSHSAA State Wrestling Champion – Class 4, 182 lbs. MSHSAA District Wrestling Champion – Class 4, district 1, 182 lbs. MSHSAA State Wrestling Tournament – 5th place, Class 4, 160 lbs. MSHSAA District Wrestling Champion – Class 4, district 1, 160 lbs. MSHSAA District Wrestling Tournament – 2nd Place, Class 4, district 1, 160 lbs. Dustin Gray (2015 Kyle Thrasher Memorial Tournament) See video below. Jayden Bears (2014 Blue Chip Fall Brawl) See video below.